Call Mr. Tree if You’re Looking for Multnomah Tree Service | Mr. Tree, Inc.
Is There Anything I Can Do If My Neighbor’s Tree is Blocking Sunlight? Imagine a world without trees – what a bleak planet it would be! We don’t often take notice, but trees contribute to our lives in many ways. Not only do they add aesthetic appeal to our surroundings, but also purify the air we breathe, conserve wildlife, and preserve water and soil. In short, planting trees is extremely beneficial because they improve our quality of life by a great deal. So how difficult could it be to maintain a tree, you may wonder? You’ll need a lot more than just a blank spot of land and basic equipment. Tree care involves meticulous work and is even dangerous on few occasions, which is why it’s always recommended to outsource tree services to experts who are equipped with the right knowledge and advanced equipment to handle your tree care needs. So, why Mr. Tree? If you’re looking for a tree service company in Multnomah, here’s why our company is the perfect go-to Multnomah tree service. 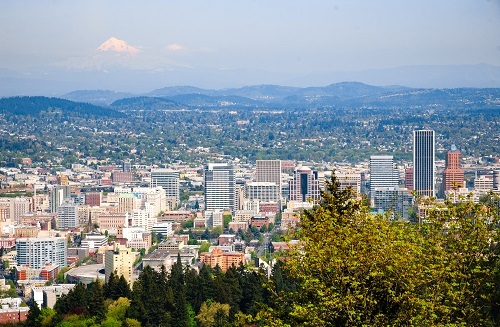 At Mr. Tree, we are proud to offer unsurpassed tree service for nearly 15 years to the Portland area. Having been in the business since 2000, we have a deep understanding of what customers are looking for and are happy to report that we have successfully lived up to our claims. Our team of professional and certified arborists are updated on the latest techniques and have the state-of-art tools to handle your tree care needs. So, don’t think twice when you get us onboard because we’ve got you covered. Customer service is at the core of everything we do, and our satisfied customers are a testament to that. We understand that there are emergencies when it comes to tree care which is why we are available 24/7, 365 days a year. You can call us at any time of the day or night and expect quick turnarounds. Unlike other tree care services, you can trust us to provide nothing but honest advice for the betterment of your trees. We take safety very seriously – whether it’s yours, your property, or our employees. Mr. Tree is OHSA approved, a drug-free workplace, and is licensed, bonded, and insured for your protection. We also encourage the use of equipment that causes minimal or no damage to your trees and lawns, in line with our safety standards. No project is too big or small for us. From residential to commercial and industrial properties, we are a Multnomah tree service provider where you can expect a comprehensive range of tree care services. Planting trees is a lifelong commitment. The last thing you want is to have an unkempt mess sitting on your lawn. Hence, if you have decided to plant trees, it’s ideal that you understand the importance of maintaining it too. What does tree maintenance involve? Pruning, shaping, fertilizing, and trimming to name a few. It is important to carry out each of these maintenance activities in order to increase your tree’s longevity. For example, regular pruning is required to keep the tree’s overall health in check and to ensure it keeps producing effectively, especially given the shifting weather conditions in Portland. Similarly, shaping and trimming are essential to get rid of the extra, unwanted growth and keep it looking its best. What’s more, every maintenance service needs to be done at the right time with the correct equipment. So, if you are not sure of doing it yourself, you can always call us at Mr. Tree to handle it for you. Yes, it hurts to remove trees after having spent so much time and effort in planting and looking after them. However, there are serious cases when tree removal is the best and only option available and needs to be undertaken before a problematic tree causes further damage. Tree removal is a dangerous activity and should be left to experts like Mr. Tree. We can guide you through the process and help remove the tree from your property safely. We understand your concerns and are very transparent with the costs, machinery, procedure, and duration involved in removing trees. You can also get a free tree removal quote from us to help you make a decision before we move forward. Along with tree removal, we also offer stump grinding services. You don’t have to worry about staring at a large stump in the middle of your lawn because irrespective of the size of the stump, we are equipped to remove it with the help of our advanced techniques and equipment. Our fast and pristine stump grinding service promises to get your landscaping back in its original condition. If you need space to build a home or business and are struggling with the space, you can avail our affordable lot clearing services. Yes, our expert lot clearing staff gets rid of trees and levels the ground for your construction project to take off in a timely manner. What do you do when your tree has fallen over on public property? One can never prepare for such emergencies and the first thing you should do is call tree care experts who offer emergency services. At Mr. Tree, we are available around the clock and don’t waste any time in rushing to your property to handle the removal with professionalism and efficiency. So, whether it is a fallen tree or a rotten log – our professional arborists can help you get out of this sticky situation. Going by the extensive range of tree care services and conveniences we offer, you have all the reasons to call Mr. Tree if you are looking for a Multnomah tree service. Hiring the appropriate tree service company can be an overwhelming process. However, when you work with us, we readily provide you with the insurance policy and other important documents for your peace of mind because we are confident about our capabilities. We understand trees well so contact us today and let us beautify your lawn and help keep your trees healthy.